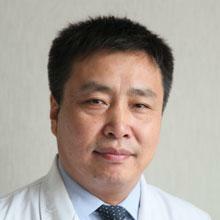 Doctor Jianzhong Zhang is Professor and Chairman of Dermatology, Peking University People`s Hospital, Peking, China. He is President of the Chinese Society of Dermatology and Council Member of the Asian Dermatological Association. He graduated from Peking University School of Medicine in 1986, after which he worked in the Department of Dermatology, Peking University First Hospital from 1986 through 1996 and at Fukushima Medical University Japan from 1992 through 1994. Since then, he has been affiliated with the Department of Dermatology, Peking University People`s Hospital. He has special interests in atopic dermatitis, cutaneous lupus erythematosus, alopecia, genodermatoses, and mycobacterial skin infections. He is the editor-in-chief of 18 books, including the History of Chinese Dermatology and Textbook of Dermatology and Venereology, as well as a contributor to over 40 books. He serves on the editorial board of more than ten journals and has published over 400 peer-reviewed contributions. He was awarded the ILDS Certificate of Appreciation in 2013 and is an Honorary Life Member of the World Health Academy of Dermatology.